We paid special attention to strengthening and promoting trade and economic cooperation. We agreed to hold a regular meeting of the Permanent Russian-Iranian Commission for Trade and Economic Cooperation this fall, probably in October. Russia and Iran believe this commission is an important tool for efficiently coordinating approaches towards promoting economic, investment and other ties. The Russia-Iran memorandum on cooperation for 2015-2018 provides a framework for closer ties between our foreign ministries, enabling us to coordinate our approaches on a number of important regional and international issues. We have expressed yet again our support for the successful completion of talks on the Iranian nuclear programme. We are satisfied with the Joint Comprehensive Plan of Action, and hope that this plan will come into force in the coming weeks, as per the UN Security Council resolution to this effect. We believe that the plan not only paves the way for a satisfactory resolution of the Iranian nuclear issue, while respecting Iran’s right to peaceful nuclear energy, but also provides an opportunity to enhance confidence in the region and remove barriers to normal economic and political cooperation within the region, so that the Islamic Republic of Iran can participate in regional affairs in its own right. We exchanged views on the developments in the Middle East and North Africa, paying special attention to efforts aimed at facilitating a settlement in Syria, which should be peaceful, political and diplomatic, negotiated by Syrian forces without any external interference. Only Syrians should have a say in shaping the future of their country. Russia and Iran also share convergent views regarding developments in Iraq, Yemen, Afghanistan, Libya and other hot spots in the region. We advocate settling the issues in these countries through national dialogue without external interference or imposing any formulas. We are satisfied with the results of these important talks. The foreign ministers of these two countries meet regularly. His Excellency Foreign Minister has reiterated his invitation to visit Teheran, and I will gladly do so within the agreed upon timeframe. Question: Russia has maintained a principled and constructive stance regarding the Syria crisis in recent years. Based on the news that we are getting from certain news agencies, has this stance remained as principled as it was, or will it be revised? Sergey Lavrov: I wish you attended our news conferences where this issue is regularly discussed. With modern means of communication, we can go several days or even weeks back, and see what we said on this subject at that time. Our position has not changed – we have always advocated that the Syrians should decide on the fate of their state without any external interference, or any pre-conditions, or outside prescriptions imposed by certain "external actors". We remain on the solid basis of the Geneva communiqué of June 30, 2012, which stipulates that overcoming the Syrian crisis should be addressed by way of talks between the Syrian government and the delegation representing all of the groups that are in opposition to it. All of the decisions concerning transitional steps and reforms in that country, and any and all decisions at talks between the government and the opposition, must be based on the mutual consent of the government and its opponents. That's all there is to it. At several meetings with my colleagues from the United States, the Middle East, and the Gulf, we acknowledged that we are on the same page regarding the need to provide an exclusively political resolution to the Syrian crisis, and also admitted that we don’t see eye to eye on certain things, including the future of the current legitimate Syrian president al-Assad. Whereas some of our partners believe that the parties need to agree ahead of time that al-Assad will step down at the end of the transitional period, Russia does not accept this approach, and openly says so. It’s up to the Syrian people to decide. We must sit down and stop pretending that only one opposition group has all of the legitimacy provided to it by the so-called international community, to make sure that all of the opposition groups are properly represented in a delegation, which must develop a constructive platform free of any preconditions for talks with the delegation representing the legitimate Syrian government. That is our stance. I hope that by scrolling through the last news conferences (for the past months or even years), anyone can see for himself that this position hasn’t changed since the beginning of the Syrian crisis. Question: I hope this visit will further strengthen Russian-Iranian relations. Which specific areas will the new round of cooperation between the two countries include after the agreement on the Iranian nuclear programme is signed? Sergey Lavrov (speaking after Mohammad Javad Zarif): I would like to say a few more words about the areas of our cooperation. As we have earlier noted, our cooperation embraces all of the key areas of relations between our states. I will focus on the economy, specifically high-tech spheres, such as nuclear power engineering, notably, the successful completion of the Bushehr-1 NPP project and an intergovernmental protocol and a contract for building an additional eight Russian plants in Iran. This is a promising and major area of our cooperation, which will strengthen Iran’s energy industry and ensure full compliance with non-proliferation, while respecting Iran's right to a peaceful nuclear programme. Our cooperation also includes non-nuclear energy, which we also discussed today. This sphere also holds a lot of promise, as well as our cooperation in the sphere of infrastructure, in particular, rail. We are interested in increased imports of agricultural products from Iran to Russia. We also want our trade, economic and scientific cooperation in the Caspian Sea to expand. Regarding the Caspian issue, we, of course, are part of the talks between five Caspian nations to develop a convention on the legal status of this body of water. Our military and technical cooperation deserves a special mention. In January, Defence Minister Shoigu visited Tehran and signed an Agreement on Military Cooperation, including in the context of the Caspian issue. Preventing threats and risks in that region that are prone to further exacerbation is an important task. Our cooperation in the sphere of culture and education is also noteworthy. We discussed this issue today, including in the context of negotiations about opening the Russian Cultural Centre in Iran and signing an appropriate agreement. We also talked about accelerating talks on easing visa regulations for the citizens of Russia and Iran, and much more. Our bilateral relations are full, rich and, I’m convinced, meet the interests of our two nations. Question: Last week, the United States threatened to raise the issue of General Qasim Sulaimani’s visit to Moscow with the UN Security Council. The American side suspects Russia of violating the UN sanctions on Iran. What does Moscow do to address the concerns expressed by the Americans? Sergey Lavrov: First off, these rumours have already been commented upon, and I have nothing to add regarding that particular episode in a flurry of suspicions on behalf of our US colleagues. Rumours are just that: rumours. Speaking about cold hard facts, though, the sanctions regulations have been conspicuously violated by the Americans themselves when, some time ago, they released several members of Al-Qaeda and affiliated groups included on the Security Council sanctions list from Guantanamo, where dozens of citizens of different countries are illegally detained. Four individuals on that list were exchanged for a US soldier who was taken prisoner in the Middle East. However, neither the Security Council nor the committee in charge of monitoring compliance with these sanctions were informed about the fact that these individuals were sent to a country that agreed to accept them. However, this particular episode was loudly brought to everyone’s attention. By the way, according to our sources, these four freed individuals are now trying or have already made it into Afghanistan to continue doing what they did before they were captured by the Americans. I said this for you to have a sense of how rumours stack up against facts. In a broader perspective, we commit ourselves to complying with the Security Council resolutions not in order to, as you put it, "remove the concerns expressed by the Americans". Concerns come in all varieties. The Americans have lots of them. Here’s a case in point. When they groundlessly accuse Russia of violating the INF Treaty, we ask for the facts, but they never provide any saying that you know everything yourself, so go ahead, come clean and make some excuses. At the same time, they dismiss at least three fact-based specific suspicions that the treaty is being violated by them stating that "everything is fine" with them. So, let’s focus not on the suspicions of the American side or on striving to alleviate their concerns each time they start having them, but on concrete facts. If concerns are justified, we never shun specific discussions. But we are not going to react to abstract and amorphous things each time they come our way. Question: Half a year has passed since the signing of the Minsk agreements. German Foreign Minister Frank-Walter Steinmeier recently described the situation as “explosive”. Do you think it is necessary to hold a new summit in the Normandy format? There are appeals for an emergency meeting of Kiev’s representatives with those of the Donetsk and Lugansk people’s republics. Is this possible? Sergey Lavrov: Indeed, we are concerned regarding the implementation of the February 12 Minsk agreements. I regularly discuss this issue with my colleagues. Literally the other day, I spoke with US Secretary of State John Kerry and German Foreign Minister Frank-Walter Steinmeier. We informed Paris about our assessments – on par with Germany and Russia, France is a kind of guarantor of the Minsk accords. We are concerned about the developments over the past few days, which are very similar to military actions. This is what happened in August 2014 when the Ukrainian army received an order to attack. When the attack broke down, Ukraine agreed to talks and Minsk-1 was held. The same happened last January when another attempt was made to resolve the issue by force but it fell through. Ukraine again agreed to talks and Minsk-2 took place. We think it is not worth staging experiments and pushing luck. The sides should simply fulfil what they agreed on in Minsk. I’m referring not only to the de-escalation of military tensions, but also to the start of the political process described in detail in the Minsk agreements. Instead of constitutional amendments that would define the rights of the territories controlled by the self-proclaimed DPR and LPR that were formulated textually by the German and French leaders at the talks in Minsk on February 12, let me repeat that these rights should be sealed in the Constitution. So, instead of making the relevant amendments, they first adopt in the Fundamental Law some transitional provisions to the effect that sometime in the future some territories somewhere in Ukraine will receive a special status. Later on, this amorphous promise was transferred from transitional provisions to another section of the Constitution. Kiev declares that it has complied with its commitments while US Vice President Joe Biden sends greetings to the Verkhovna Rada, praising Ukraine for resolving the decentralisation issue. So, it was enough just to promise something in the vein of local self-government sometime in the future in some part of Ukraine. Russia prepared a detailed unofficial document (about eight pages), analysing to which extent the actions of the Ukrainian authorities match the commitments, primarily political ones, assumed by Ukrainian President Petr Poroshenko under the Minsk accords. We transferred this document to the members of the Normandy Four, including Ukraine and the United States. Is it necessary to use the Normandy format? Yes, I think it is, because after all of the Normandy Four supported the agreements signed on February 12 by the representatives of Kiev, Donetsk and Lugansk with the participation of Russia and the OSCE. The Normandy Four, primarily, Germany and France, are responsible for the implementation of these agreements by the Ukrainian authorities. We will be prepared to hold meetings at an expert level to begin with to present two documents: the Minsk Package of Measures and the Verkhovna Rada-adopted constitutional amendments on the conducting of local elections in Donbass and the granting of a special status to its territories. A simple comparison of President Poroshenko’s commitments and Kiev’s deeds should be an amusing undertaking. We are ready to discuss this with those that guaranteed Ukraine’s bona fide actions. As for direct talks between Kiev, Lugansk and Donetsk, this is the gist of all of the agreements concluded in Minsk and without this we will move nowhere. There is a Contact Group with four subgroups. All efforts to overcome the obstacles in the way of implementing the February 12 Package of Measures can only be held under the auspices of these subgroups. The Ukrainian side is continuously trying to either avoid such contacts or impose on others an approach according to which all issues should be resolved without Donetsk and Lugansk that should merely be faced with a fait accompli. All of this gives food for alarm. I hope that the series of meetings of the Contact Group and its subgroups scheduled next week will overcome the trend of Kiev’s renunciation of a direct dialogue. I also hope that we will help develop such a dialogue in cooperation with our partners in the Normandy format and our US colleagues who reassured us of their sincere desire to see the complete implementation of the Minsk-2 agreements. Obviously, a man who makes such unprovoked statements (he asks himself if President Putin is ready to attack all of Europe and he himself replies affirmatively) is sooner trying to support Russophobia in the West and artificially escalate tensions to divert attention from his inability to fulfil everything he has signed for. We are concerned about the lack of negotiability regarding the current Ukrainian authorities. This is why we hope that the Normandy Four are bound to see all of these games and Russia’s sincere efforts to ensure the implementation of the Minsk accords by all sides. We hope they understand the game that the Ukrainian leaders are trying to involve everyone in. 605: 30 seconds to mars. Foreign Minister Sergey Lavrov’s statement and answers to media questions at a joint news conference following talks with Iranian Foreign Minister Mohammad Javad Zarif, Moscow. 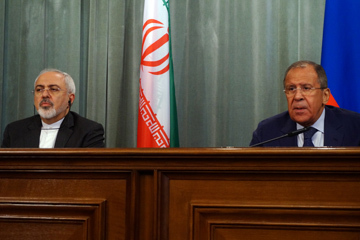 August 17, 201519 August 2015: Foreign Minister Sergey Lavrov’s statement and answers to media questions at a joint news conference following talks with Iranian Foreign Minister Mohammad Javad Zarif, Moscow. August 17, 2015! лучшие комедии. Foreign Minister Sergey Lavrov’s statement and answers to media questions at a joint news conference following talks with Iranian Foreign Minister Mohammad Javad Zarif, Moscow. August 17, 2015.